This 4.46 Acre property offers views of the Fraser River. Home is in need of repairs and general clean-up. Main floor offers 2 Large bedrooms, full bathroom, Large kitchen area, and decent sized Living-room with wood burning fireplace. Basement is unfinished, and needs lots of work. 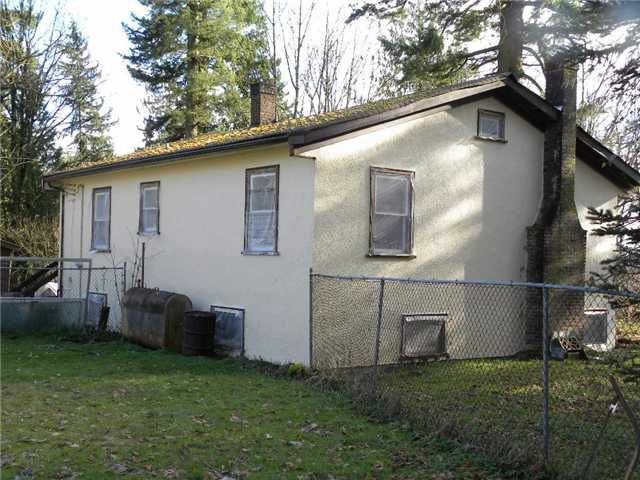 Property has over 700 feet of frontage, and offers many potential future building sites. There is also a concrete in-ground pool which has been neglected but might be salvageable, and lots of small outbuildings in various states of despair. Property is currently serviced by a cistern water system, septic tank, and heated by a propane gas furnace. The Property offers southern exposure, is zoned RS-3, and offers approximately 3 Acres if usable area. This would be a great place to build a new home, or fix up the existing home, and add a carriage home and/or workshop.